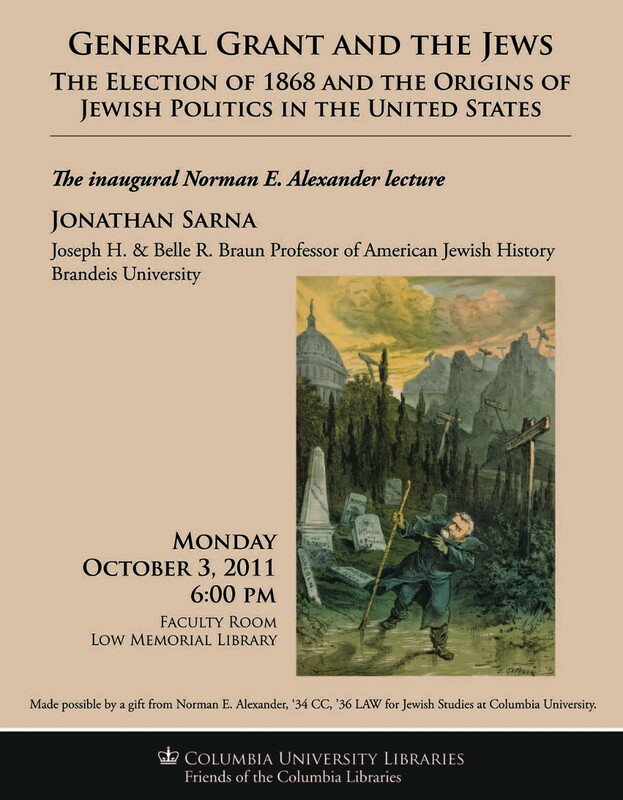 In 2008, The Columbia University Libraries received a gift of $4 million to establish the Norman E. Alexander Library for Jewish Studies which included three new endowments: a Jewish Studies Librarian, the General Jewish Studies Collection and the Special Collections in Judaica. 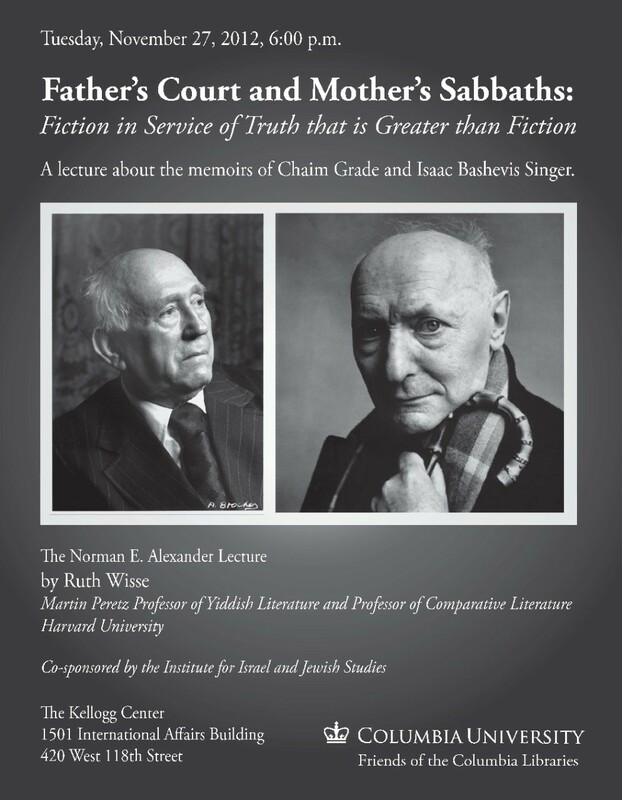 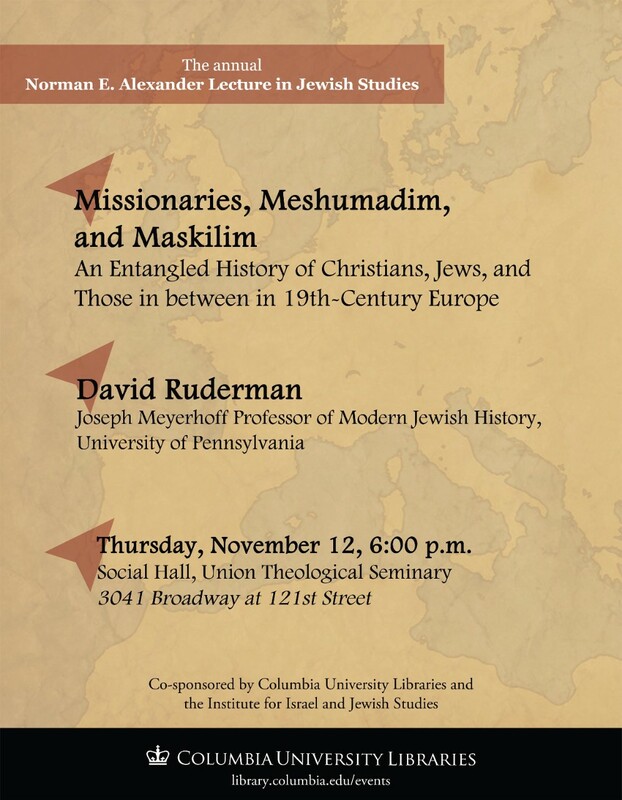 In gratitude for this generous gift, the Columbia University Libraries established the Annual Norman E. Alexender Lectures in Jewish Studies. 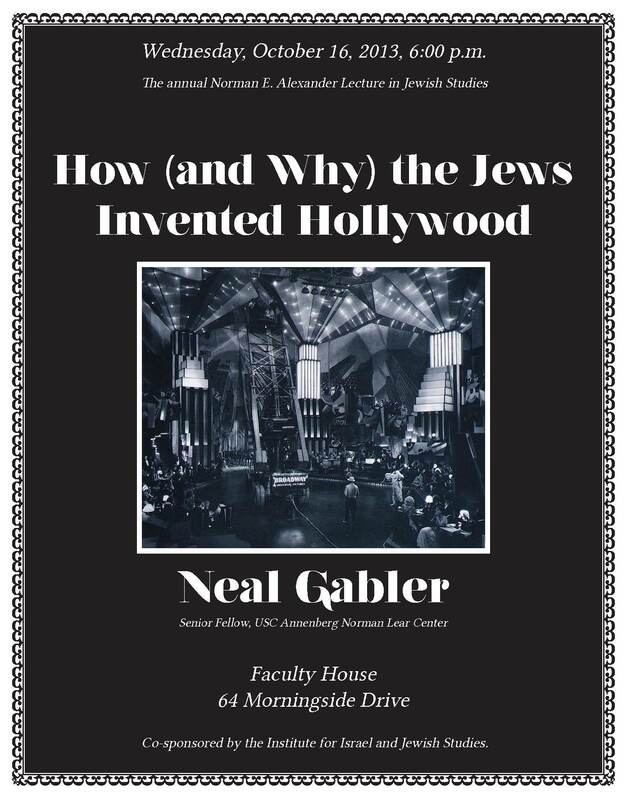 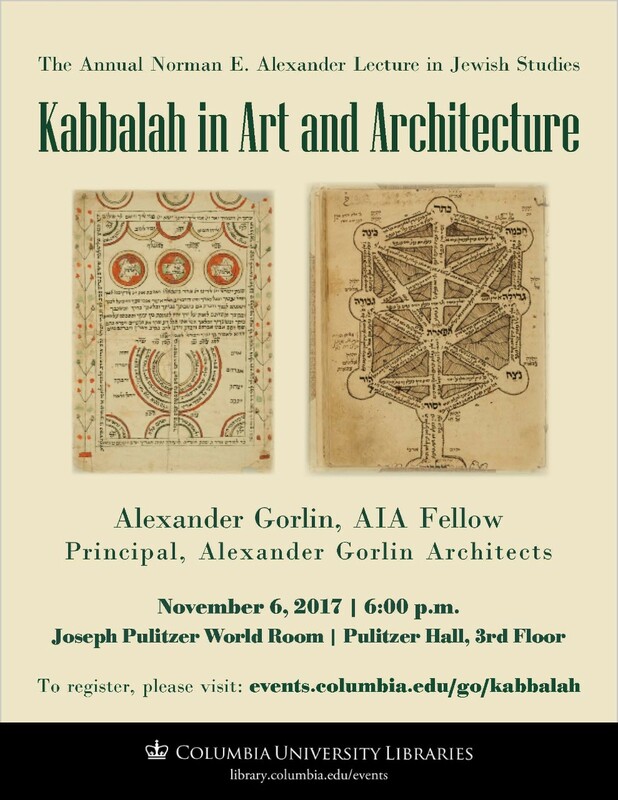 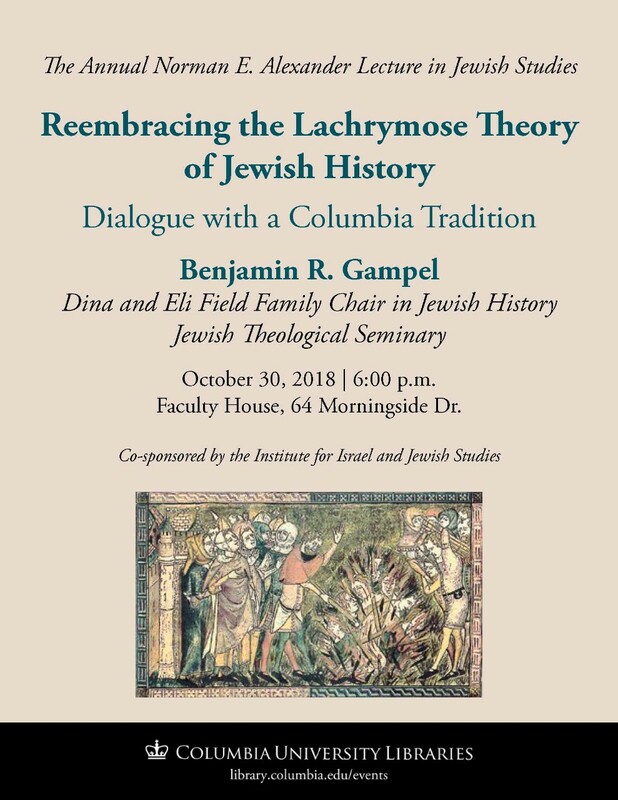 2018: Benjamin R. Gampel (Jewish Theological Seminary), "Reembracing the Lachrymose Theory of Jewish History: Dialogue with a Columbia Tradition"
2017: Alexander Gorlin, FAIA (Alexander Gorlin Architects), "Kabbalah in Art and Architecture." 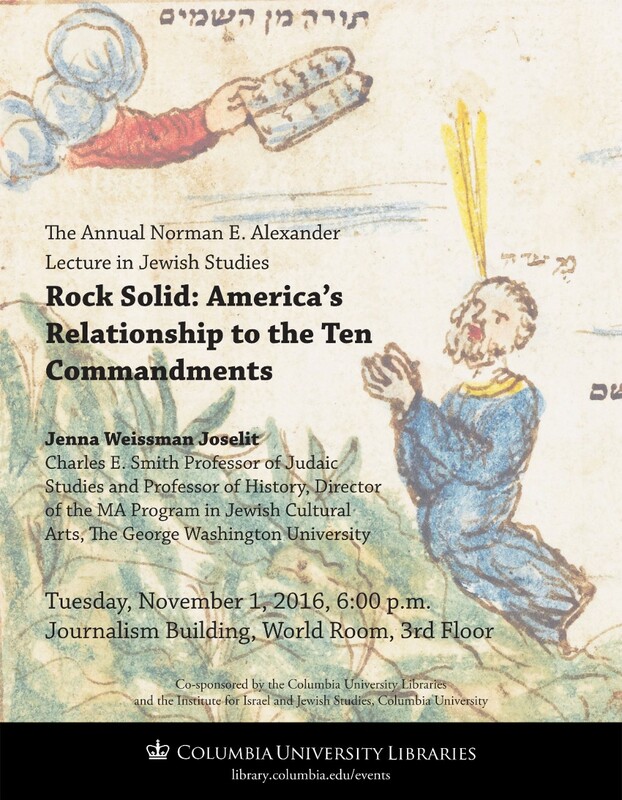 2016: Jenna Weissman Joselit (George Washington University), "Rock Solid: America's Relationship to the Ten Commandments." 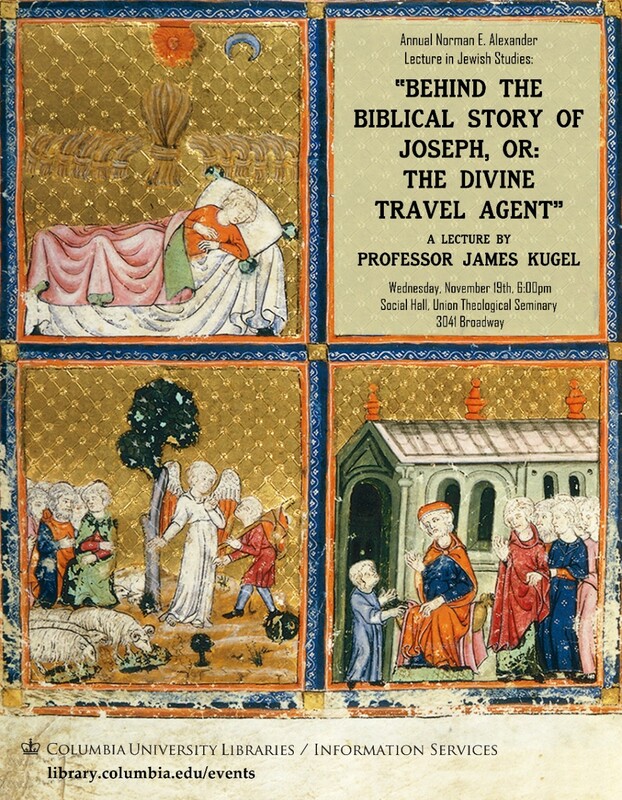 2015: David Ruderman, "Missionaries, Meshumadim, and Maskilim: An Entangled History of Christians, Jews and Those In Between in Nineteenth-Century Europe"
2014: James Kugel, "Behind the Biblical Story of Joseph, or: The Divine Travel Agent"
2013: Neal Gabler, "How (and Why) the Jews Invented Hollywood"
2012: Ruth Wisse, Martin Peretz Professor of Yiddish Literature and Professor of Comparative Literature, Harvard University, "Father's Court and Mother's Sabbaths: Fiction in Service of Truth that is Greater than Fiction"
2011: Jonathan Sarna, Joseph H. & Belle R. Braun Professor of American Jewish History, Brandeis University, "General Grant and the Jews"